The Chile Mountains False Toad (Telmatobufo venustus) is a remarkable animal. Not only is it spectacularly colored, but it has a quite interesting life history as well (at least the known part…). 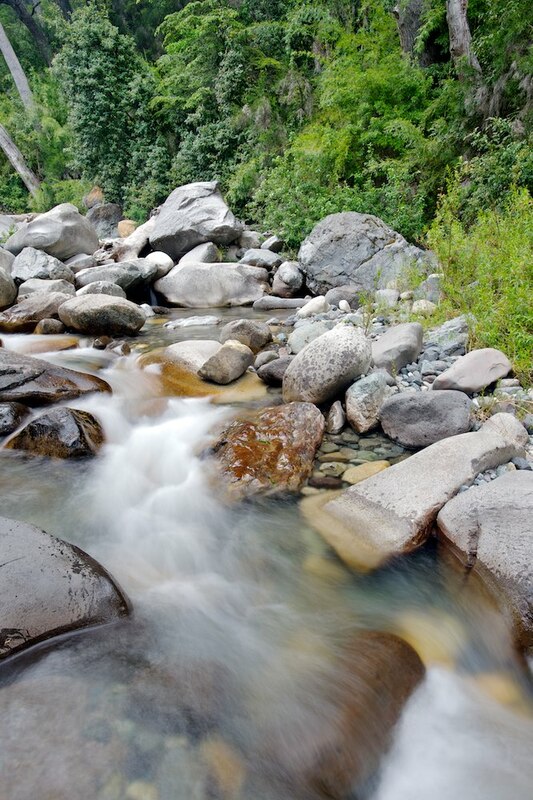 They only occur along fast flowing mountain streams in a small part on the west slope of the Andes in Chile. The animals are excellent swimmers and will not hesitate to jump into the swearling waters when feeling threatened. This is visible through the presence of extensive webbing between their toes. 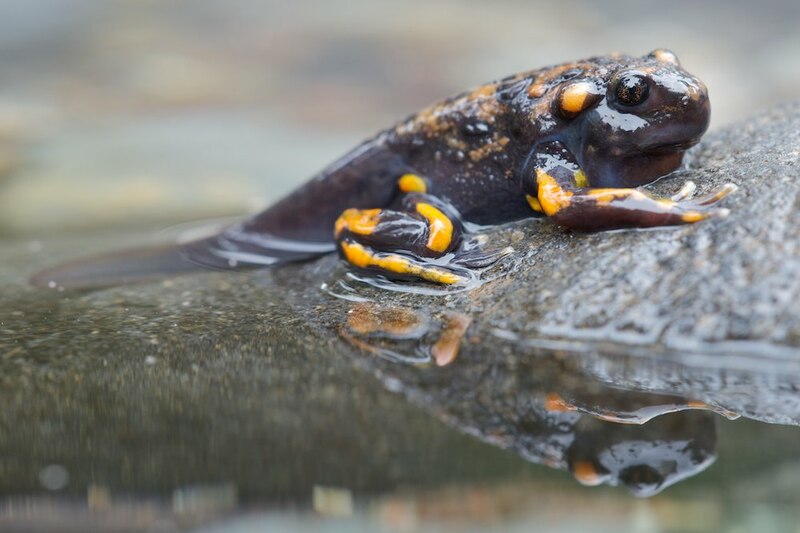 The tadpoles are adapted to the strong currents by having a suctorial disk, which they use to scrape food from the substrate and attach themselves to the rocks in the rapids where they occur. 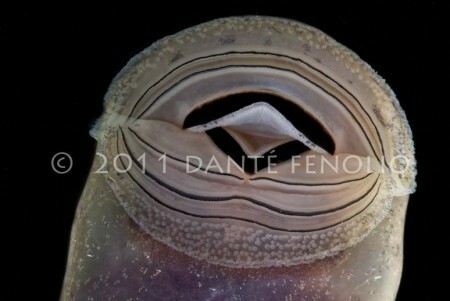 You can see a nice picture of this mouth taken by Dante Fenolio by clicking here. Since it was first described in 1899, it took a century before this species was observed again and today it is still rarely seen. Not much is known about its ecology and behavior. The reproduction has for example never been observed. Due to its small distribution area and fragmentation and decline of its habitat, the species is categorized as endangered by the IUCN. 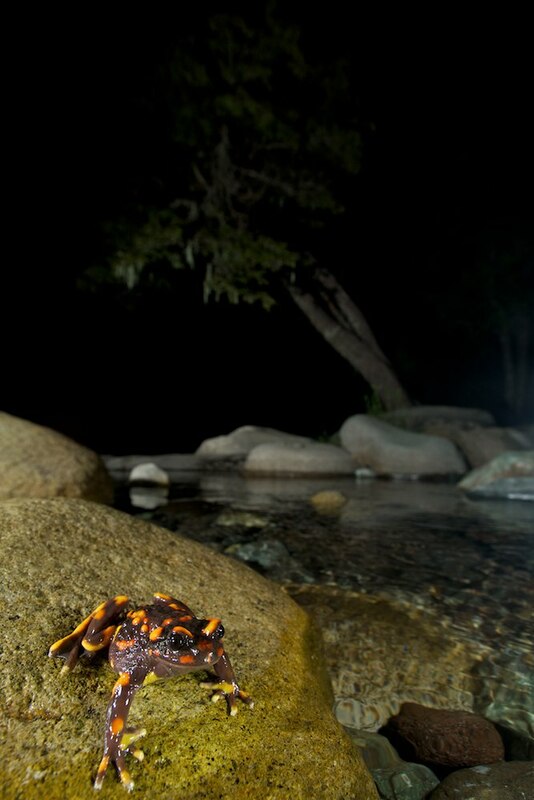 The genus False Toads (Telmatobufo) only contains a handful of species, all endemic to Chile. Together with the Helmeted Water Toads (genus Calyptocephalella; containing only a single extant species), they form the family of the Chilean Toads (Calyptocephalellidae). 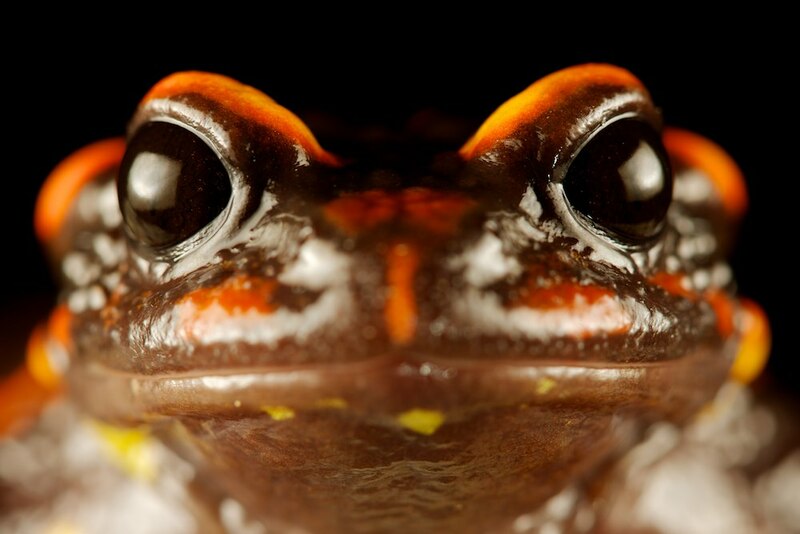 This family is an old lineage most closely related to amphibians from Australia. During my trip in Chile, I visited a location where they should occur and I encountered several tadpoles, metamorphing individuals and adults. Below some pictures of these fascinating frogs. 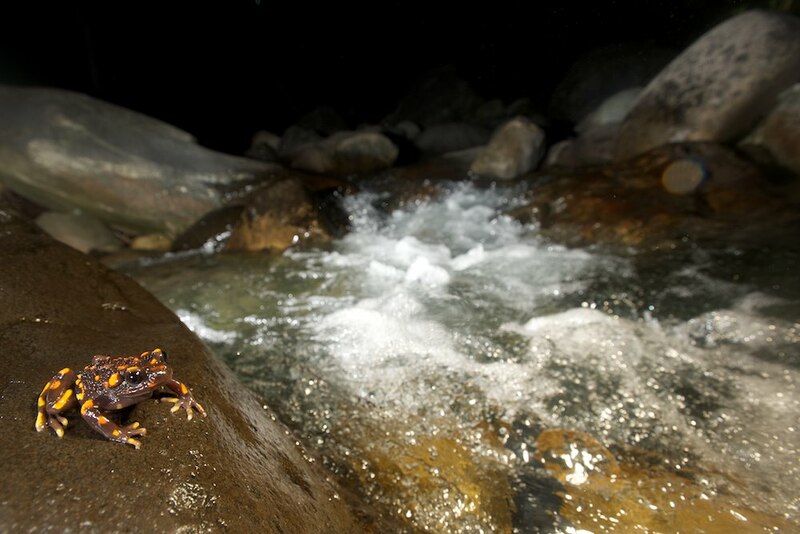 An adult next to the stream, where they can be seen at night. Another individual, next to a rapid. Incredible pictures and incredible little toad, love it! 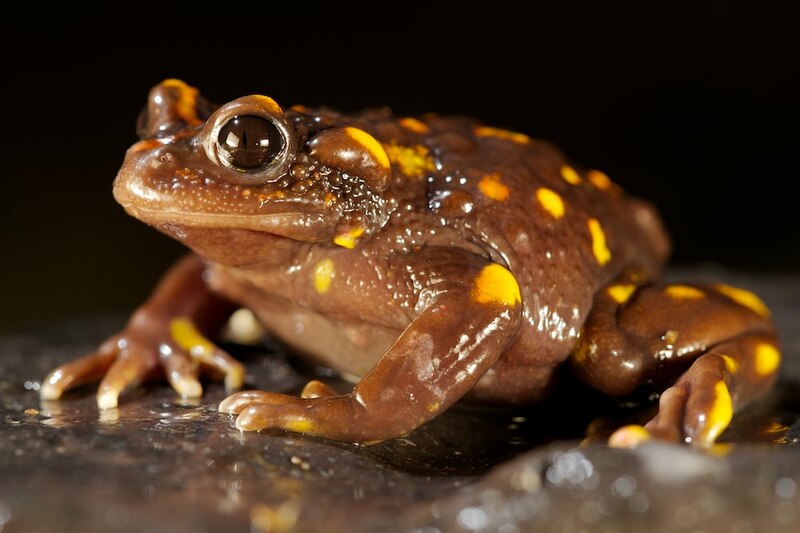 It is a very nice toad, especially because it reminds me of the fire salamander. It must have been quite a revelation encountering them in their natural habitat for the first time.